I can never get sick of miso soup. It’s one of my favorites. For this recipe, you can save a lot of time by using instant Dashi. It’s like the Japanese version of chicken bouillon except it isn’t chicken. Traditional Dashi is actually made with kombu and bonito flakes. If you’re not sure what kombu is, it’s an edible kelp aka seaweed. Bonito flakes are dried, fermented, and smoked young bonito (type of tuna fish – similar to skipjack tuna). Using instant Dashi will save you time and I do also go for Shiro Miso because it’s lighter and less salty. Anyway, here’s a picture of the ingredients I used to make this soup. I’m sure some of you guys will appreciate a photo reference since some of these products are found in Asian food stores. 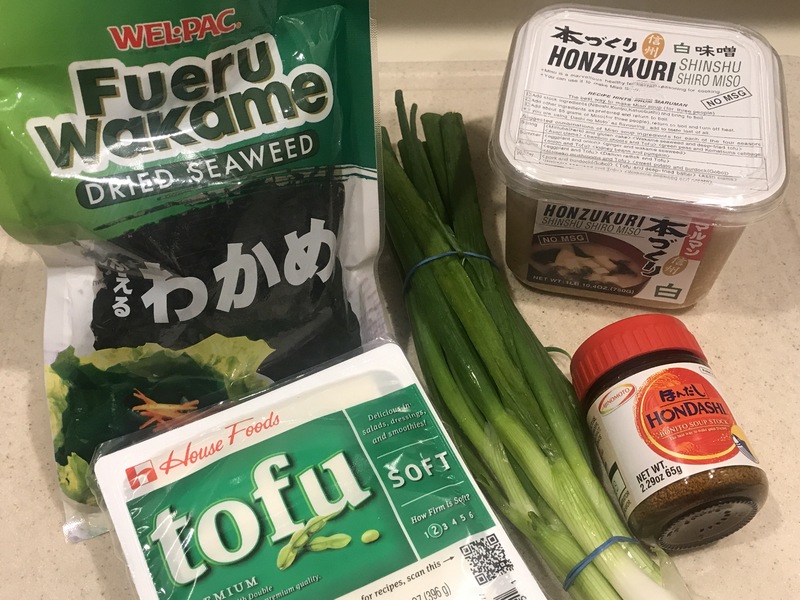 I bought these ingredients from an amazing Japanese supermarket called Mitsuwa and it’s in Edgewater, NJ! Make sure you go visit if you’ve never been there before. It’s AMAZING. Pour 8 cups of water in a soup pot. Bring to a boil. Add the instant Dashi to the pot and whisk to dissolve. Turn heat to medium-low. Add in tofu and drained seaweed. Let it simmer for 2-3 minutes. Turn the heat off. 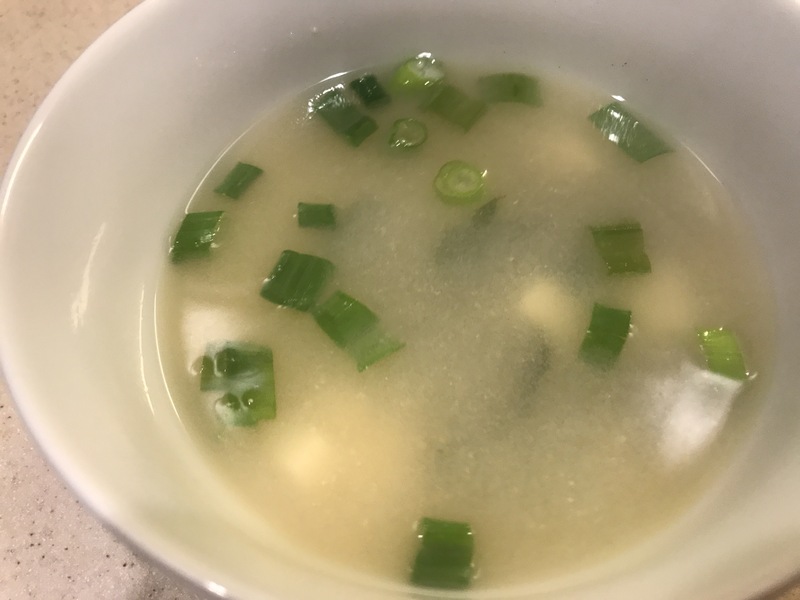 Put miso paste in a small bowl and pour 1/2 cup of soup broth from the pot into the bowl. Whisk the miso paste/soup mixture until it’s smooth. Pour this miso paste mixture back into the pot. Stir well. Taste the soup and see if it tastes fine to your liking. You can add 1 or 2 tablespoons of miso paste if you feel like the soup needs more. Ladle in bowls and serve with chopped green onions on top. This lemon-scented loaf is delicious! Veal is tender and is considered a delicacy. It is sometimes hard to find ground but your butcher should be able to prepare it for you. This meatloaf is made with ground veal with mushrooms and the flavors of the famous Italian dish veal piccata. Mix everything EXCEPT for lemon slices. Gently pat down the mixture. Make sure it’s even. Bake for 45 minutes. 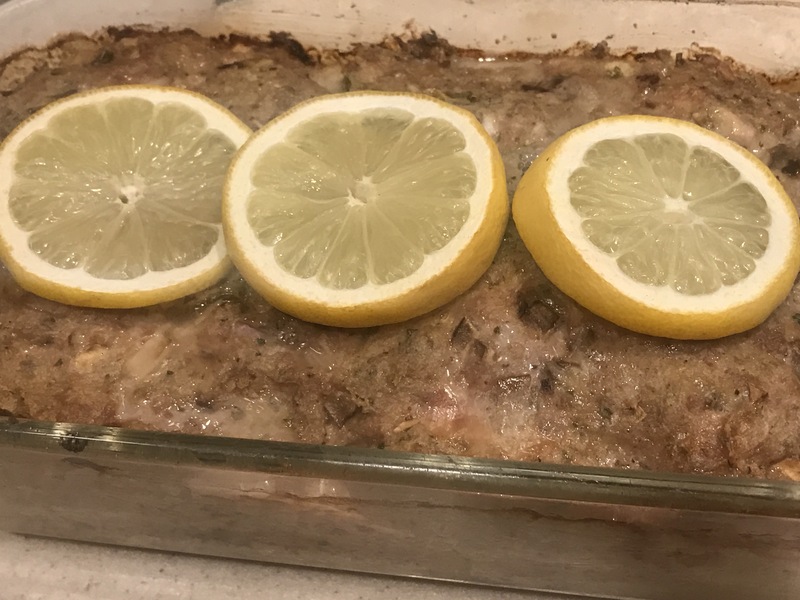 Top meatloaf with three slices of lemon and bake again for about 15 minutes. Let it stand in the loaf pan for 5 to 10 minutes before serving. You can’t ever go wrong with caramelized onions especially SHALLOTS!! They’re so good. This recipe takes very little prep time and is ready in approximately 20 minutes. It’s a great recipe for one of those busy week nights. 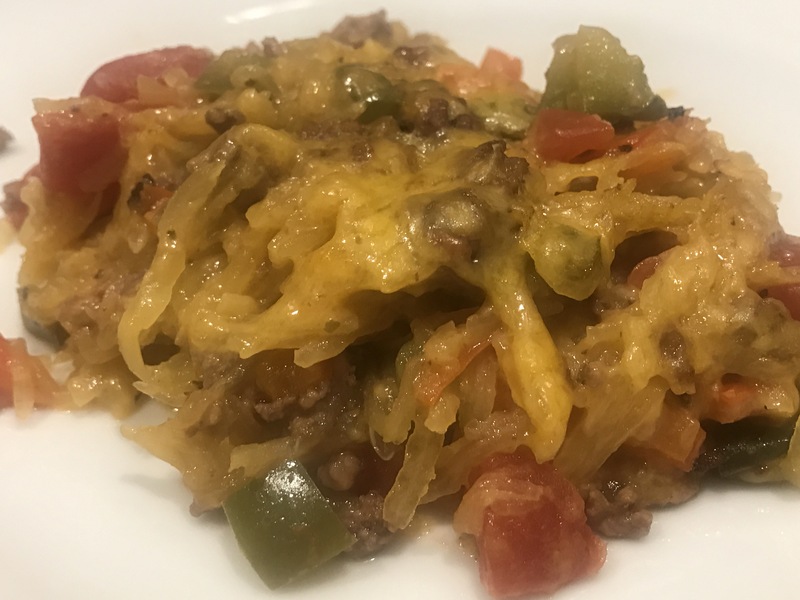 In a large baking dish (I used the 13″ by 9″ glass baking dish), mix in the olive oil, red wine vinegar, soy sauce, diced shallots, salt and pepper. Toss the chicken in the mixture. Flip them over. Make sure they’re coated in this sauce and the shallots. Roast for about 20 minutes. Halfway through the roasting time you should flip the chicken breasts over. When 20 minutes is up, I continue to cook the chicken breasts under the broiler for 2-3 minutes to give it a nice color. 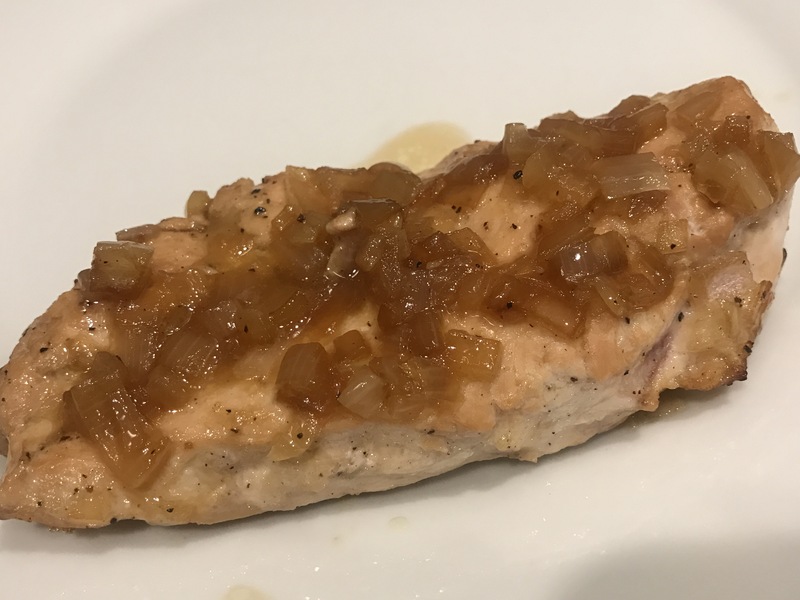 Serve with caramelized shallots on top of each chicken breast. Cook bow tie pasta according to package’s instructions. Heat oil in a pan over medium heat. Add diced onion and minced garlic. Cook and stir occasionally. Make sure it becomes tender but not browned. Approximately 5 minutes. Add peas, light cream, salt and pepper. Bring to a boil. When it boils, it’s ready. Remove from the heat and cover to keep warm or leave it on low heat. When the pasta finishes cooking, drain it. Mix it with the pea sauce.